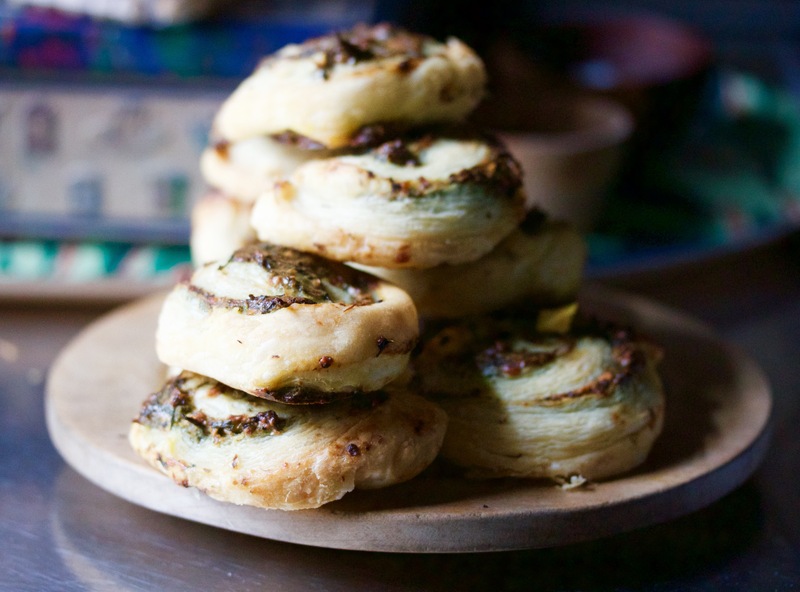 Summer appetizing made easy – make the most of the short-lived ramp season by making these ramp pesto pinwheels today! It has all the green things: ramps, spinach (or other mild greens), and pistachios. What are ramps? Ramps are a wild onion or shoot (depends on who you ask) with a pronounced, unique garlicky flavor. They are only around for a few months in the spring and are, generally, foraged. The extra good news is that this ramp pesto is also great with so many other things: spaghetti, seafood, cheese and flatbreads etc. 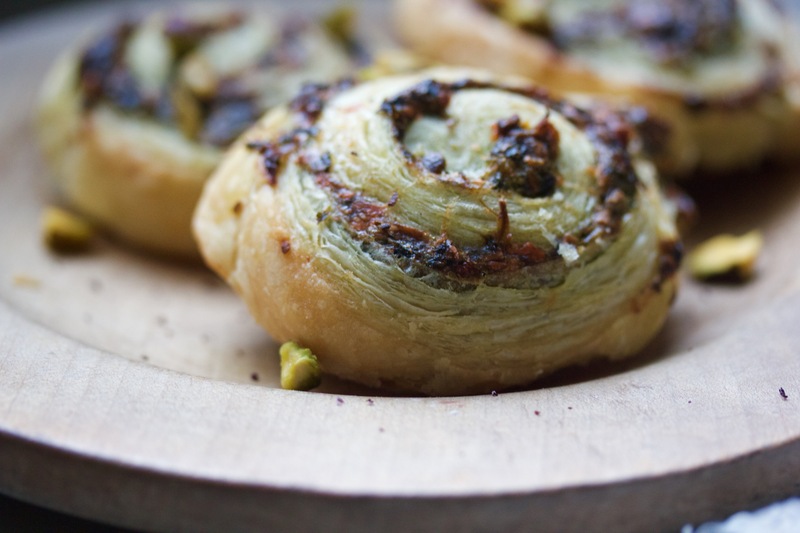 Summer appetizing (and entertaining) made easy - make the most of the short-lived ramp season by making these ramp pesto pinwheels today! Saute the ramps (keep them whole - stem and all!) lightly in olive oil. 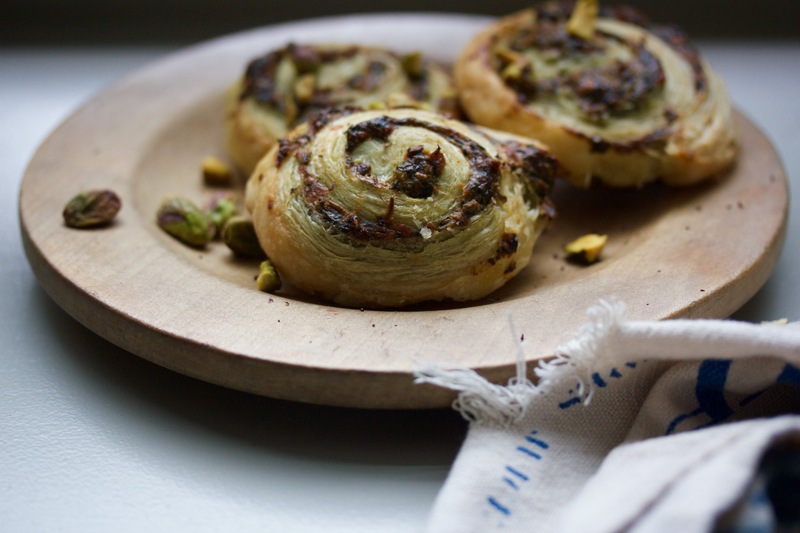 Chop them in half and combine with greens, cheese, pistachios, and a few tablespoons of olive oil in a mini chopper or food processor. Pulse until smooth. In a separate bowl, combine egg and pesto and stir together until smooth. Preheat oven to 400F. 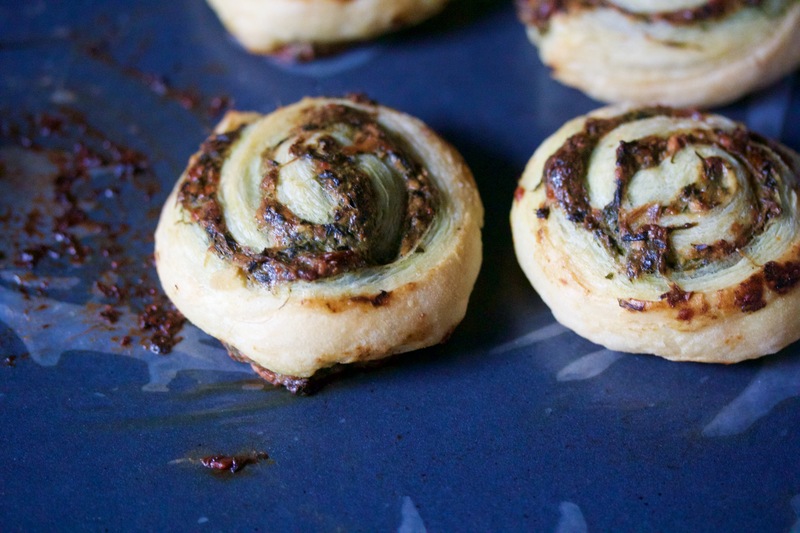 Roll out puff pastry on a piece of parchment paper. 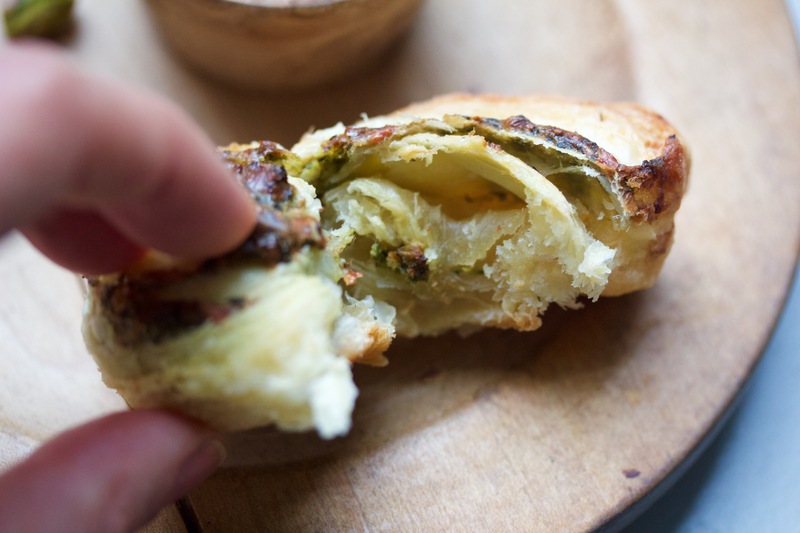 Spread pesto over the pastry evenly, leaving a half inch border all around. 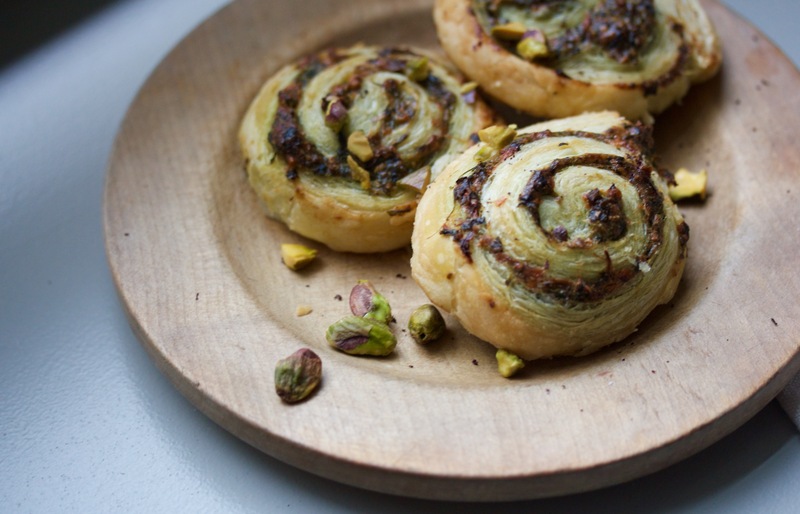 Roll pastry gently, like a jelly roll, then slice into even pieces, about a finger width each. Oh Ksenia, this must be so delicious, I could eat the whole batch myself for sure. Wild “ail des ours” is no longer in season here but I have a jar of leaves I fermented last year… wondering whether that might work for some lovely pinwheels. These look so inviting and perfectly puffed. What an inventive use for ramps! I miss ramp season already!